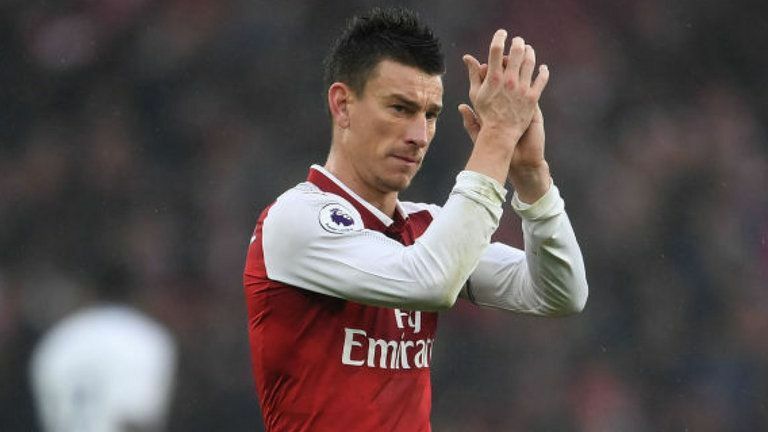 Arsenal manager Unai Emery has been given an injury boost after Laurent Koscielny returned to London Colney – but fans were surprised how good he looked. The Gunners centre-back was ruled out of action back in May, after suffering an Achilles injury during their Europa League semi-final against Atletico Madrid. As a result, he also missed out on World Cup action with France over the summer. But the 33-year-old has returned to training ahead of schedule – and some fans think he could be back in action very soon. Video footage shows the former Lorient player looking quick on his feet alongside Alex Iwobi and Arsenal legend Robert Pires. And the defender barely looks like the injury has affected him, as his touch still looks great and he pings in goals for fun. The footage was uploaded to Arsenal’s YouTube channel yesterday evening and has already racked up more than 50,000 hits. And it has already got some fans ahead of themselves. “I hope he starts this weekend alongside Sokratis [Papastathopoulos] and [Shkodran] Mustafi,” one stated. But it is unlikely he will feature for another few weeks. Boss Unai Emery revealed: “It’s difficult to know [when he will return]. The Spaniard is now preparing for a journey to Newcastle this Saturday. The north London outlet go into the clash with momentum from recent wins over West Ham and Cardiff.